If you’re anything like me, then you also have trouble finishing a bunch of bananas before they become overripe. But don’t fret. 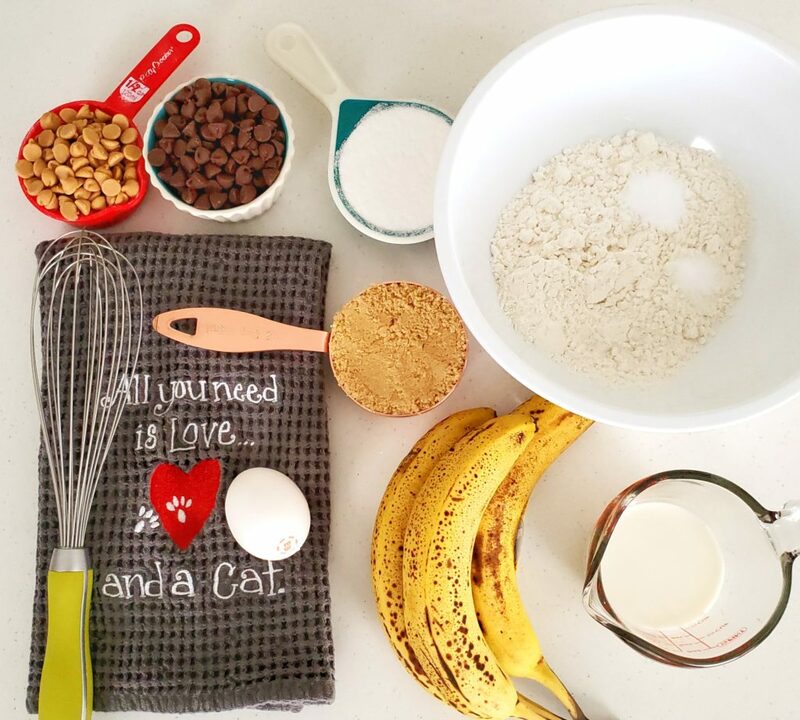 When life hands you overripe bananas, make banana muffins! What I love about this recipe is how easy it is. 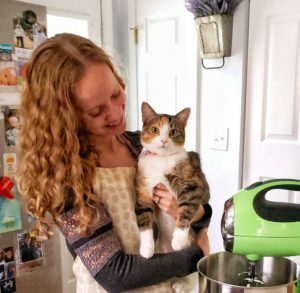 You don’t even need a stand mixer. Instead, you will mix everything by hand. You can also customize the add-ins. I use an equal mix of peanut butter and chocolate chips, but feel free to use all chocolate chips or all peanut butter chips. Make it gluten free (try this flour) or gluten-full. The first step is mashing the bananas. 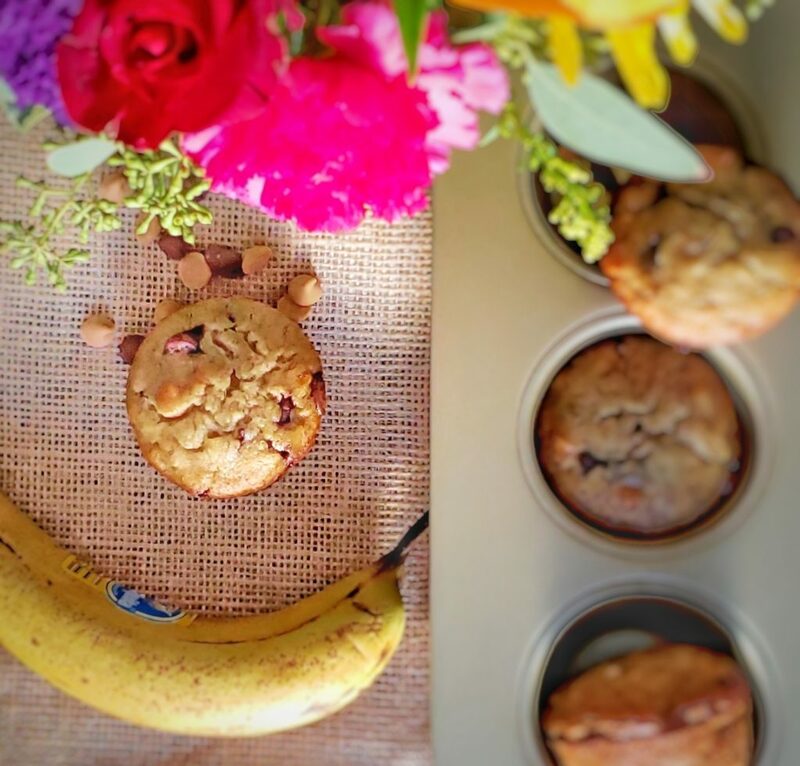 The riper your bananas, the more flavor the muffins will have and the easier it will be to mash them. That said, don’t use a brown banana (make sure to look at the actual banana and not just the peel). I always use a fork to mash them. Also don’t worry about removing all of the lumps. The batter won’t be completely smooth, but that’s okay. When I make muffins I generally prefer greasing the pan with cooking spray instead of using paper liners. Either way, only fill each cup 2/3 full of batter. Fill any empty cups 2/3 full of water. This helps ensure a more even baking. 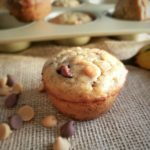 This recipe yields 14-15 standard muffins. But you can also use a specialty pan like I did. 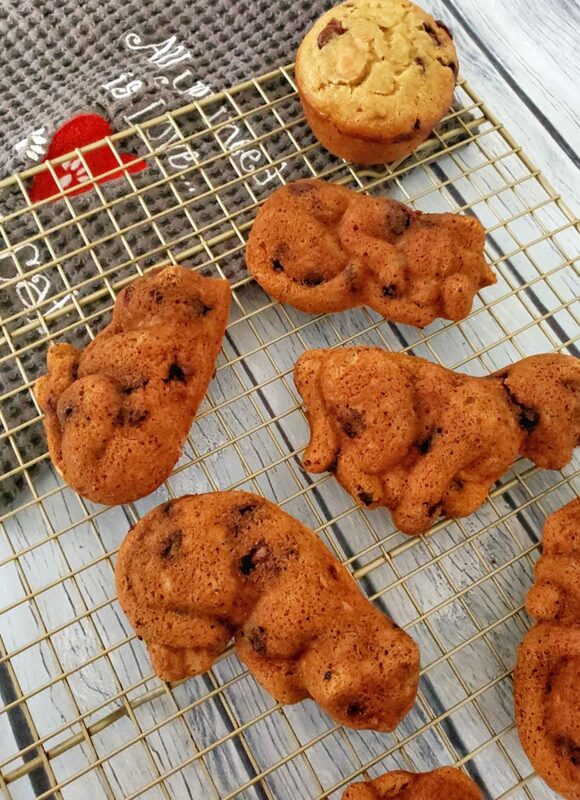 These cat molds are roughly equivalent to a standard muffin. They’ll stay fresh in an airtight container for about a week. But you can also freeze them. I love making a big batch of muffins and then popping them into the freezer (also in an airtight container). Let them defrost on the counter whenever you’re ready to enjoy them. 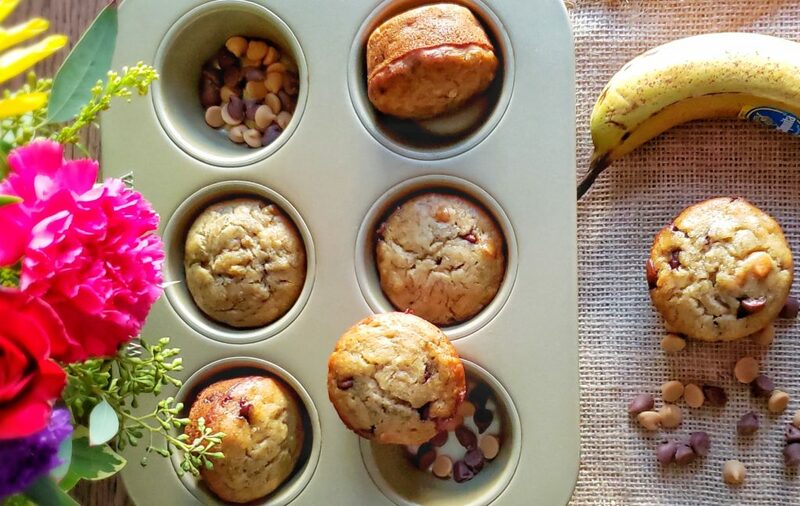 These muffins are perfect for a grab-and-go breakfast or snack. 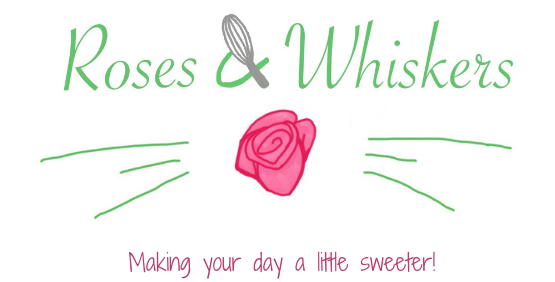 Tag me @rosesandwhiskers on Instagram if you try the recipe and use the hashtag #rosesandwhiskers. 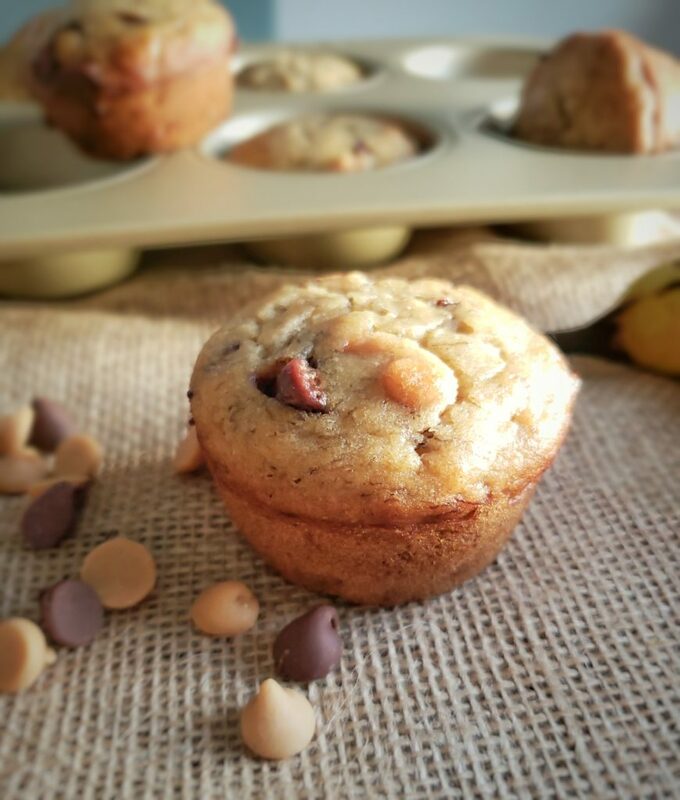 The perfect blend of bananas, chocolate chips and peanut butter chips for a moist, flavorful muffin that your whole family will love. Preheat the oven to 350°F (176°C) and line muffin pans with wrappers or grease with cooking spray. 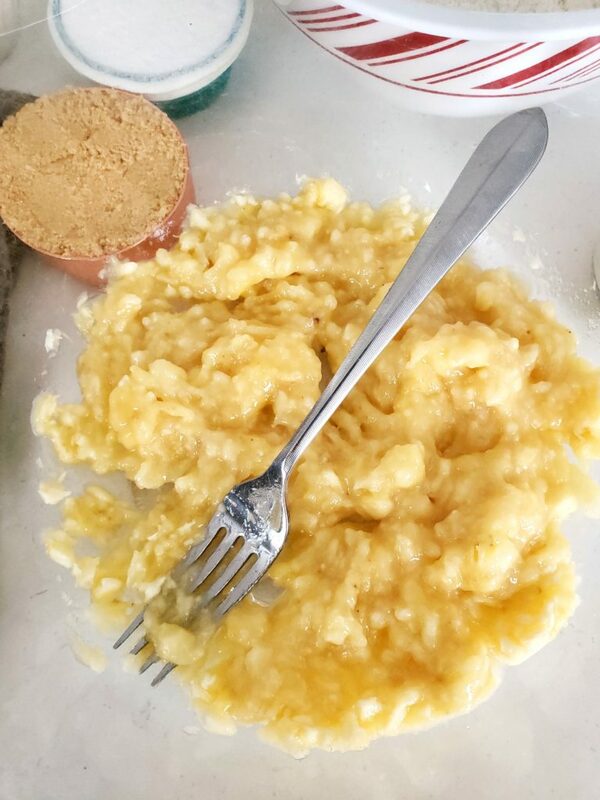 In a medium bowl, mash the bananas using a fork. Whisk in egg, milk, sugars and vanilla until well incorporated. In a separate bowl, whisk together the flour, baking soda and salt. Stir into the banana mixture until just combined. Fold in the chocolate chips and peanut butter chips. 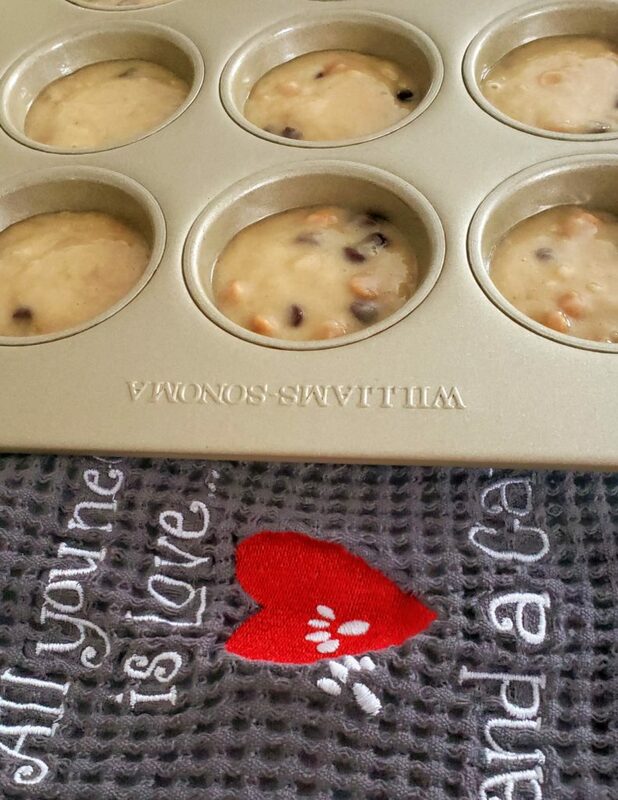 Pour into the prepared muffin pans until each cup is 2/3 full. For more even baking, pour water into the empty cups so that each is 2/3 full. Bake for 20-22 minutes or until the edges are lightly browned and a toothpick inserted into the center of a muffin comes out clean. Let the muffins rest in the pans for 3 minutes before removing to a wire cooling rack. Store in an airtight container. These muffins also freeze well.